Irene is the greatest! I just love her enthusiasm and her talent! She never seems to stop giving! Whatever it takes! Irene, I love you! What an evening! Left on a Valentine's Concert high! FABULOUS concert last night, Irene! Thank you so much for supporting the Ely Winter Festival. You are amazingly talented and awesome! 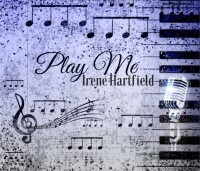 © 2019 Irene Hartfield. All Rights Reserved.